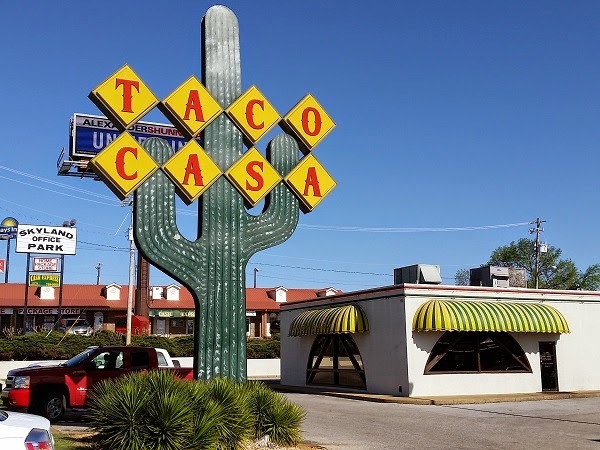 Taco Casa, Tuscaloosa AL – Marie, Let's Eat! Other than eating, the first thing that we did in Tuscaloosa was visit the campus of The University of Alabama for our daughter, and the next thing that we did was visit The Children’s Hands-On Museum for our son. We had such a good time here! Like the similar, but unrelated, Hands-On Museum in Johnson City TN, this is a two-story museum (three in the summer) that took over some old, unused storefront space on the main drag in the city. We’re always happy to advocate for children’s museums and very nearly every one that we have visited (I count 14 of them) has been wonderful, but, more important than my opinion is our boy’s thoughts on the matter. He loved this place, absolutely loved it. There’s a whole lot to do, but his favorite thing might have been a windowed wind cabinet in the science room, which parents can drop ping pong balls into after the child has closed himself inside. He loved being blown around by wind and ping pong balls! As closing time loomed, we made our way out of town. 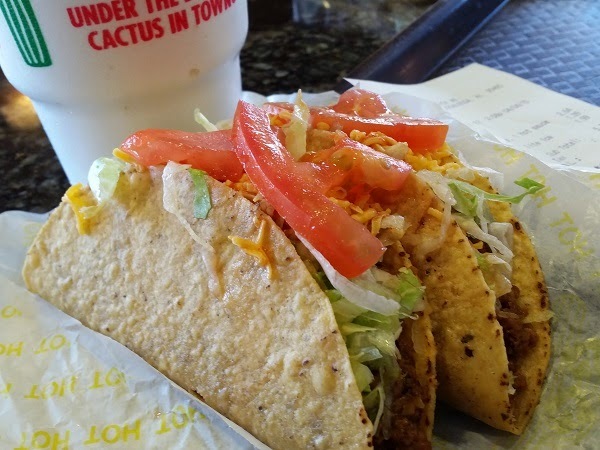 On each of my previous visits, I stopped by one of the city’s Taco Casa stores and – heresy – ended up enjoying the fast food tacos even more than the barbecue that I sampled. While that did not actually happen this time out – Archibald’s ribs are just unbeatable, I guess – I still had a really great snack at the store on Skyland. This place is really wonderful. According to Taco Casa’s site, at one time this small chain had a somewhat larger footprint across Alabama. In the early 1980s, there were also Taco Casa stores in Auburn and in Mobile. At present, there are six in Tuscaloosa and one in Homewood, just south of Birmingham. The first location, on 10th Street, opened in 1974. Rod Wilkin, who played ball for Bear Bryant during the late sixties, came back to Tuscaloosa after graduating and returning home to Kansas for a short time. I can’t express how much I love the restaurant’s iconic sign, which is called “The Biggest Cactus in Town.” And these tacos are just insensibly good. I have not found a really good reason to talk about Del Taco, which is continuing a slow expansion around the Atlanta suburbs, in quite some time. (Actually, there’s a very funny reason why I haven’t given them any stories in such a long time, but buy me a a ginger ale if you want me to tell you about it.) I still eat at Del Taco once a month or so, because, chains be damned, I just love the place. But if you can imagine Del Taco being exponentially superior to their Bell rival in every way, and they are, then Taco Casa is exponentially superior still to Del Taco. I don’t know what they season their meat with, but it is so delicious. Add some speedy service and great employees, and it’s one of the very best fast food experiences in the country. There’s no better California-style taco available anywhere, I’d say. As for the rest of my family, they saw a Sonic behind the building and decided they’d rather have sweet snacks than tacos, madly. They lost out. I am still curious about one of the menu items, called a sancho. It’s basically a deluxe burrito without sour cream. When I was in college in Athens, The Taco Stand, which opened its first store in 1977, also had these on the menu, and I’ve never seen them anywhere else. The Stand revamped its menu some years ago and dropped the sanchos, but I do wonder whether the original owner was specifically familiar with Taco Casa and took their menu items directly, or whether, in the 1970s, such a concoction was kind of common in the emerging Mexican food market only to fade away over time. If anybody knows, we’d love to hear from you. Posted on May 15, 2015 August 21, 2017 by Grant G.Posted in alabama, local chains, mexican, tuscaloosaTagged alabama, children's museums, local chains, mexican, tuscaloosa. I’m with you and have never understood what makes Taco Casa’s food so guiltily addictive. I still often visit the Homewood location in Birmingham when I’m in the area. FYI, the first location in the 70s was on 10th Avenue. I know because I worked there while I was in college. Thank you for the correction! I see now that I misread that section on Taco Casa’s site, and I’ll revise this post. I appreciate it. We passed a Del Taco yesterday on Cobb Highway. I thought about stopping in but we had just had a great lunch at Swapna and we were stuffed. BTW, this lunch at Swapna was *much* better than the one we shared with you guys a few years back. We may have to go back with you if you’re up for it! Absolutely, Swapna is terrific. Even that day they were a little off, they were still fine by me.